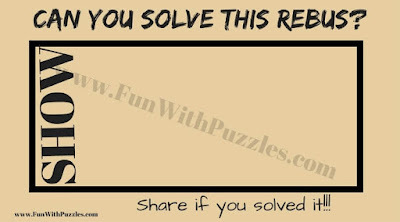 A few days back we have started Rebus Puzzles. 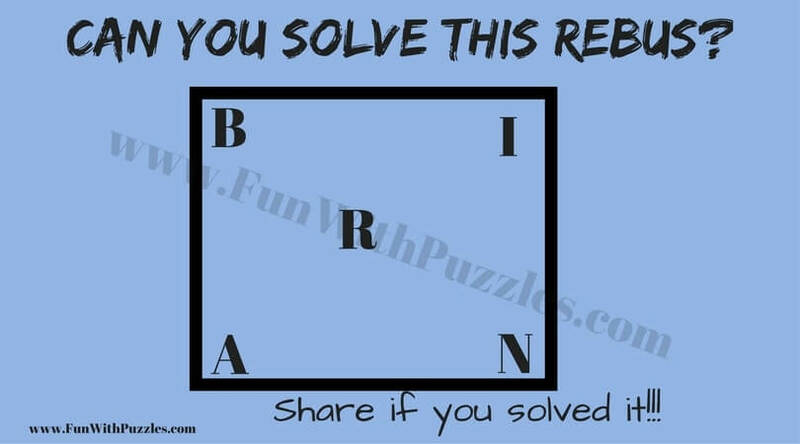 These Rebus Riddle are in addition to English Word Brain Teasers. Here is the next set of Rebus puzzles. 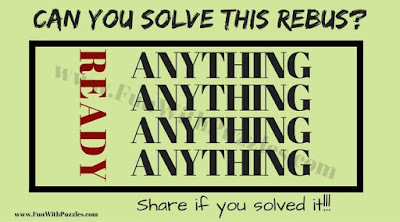 This set of Rebus Brain Teasers is difficult than previously published similar puzzles. 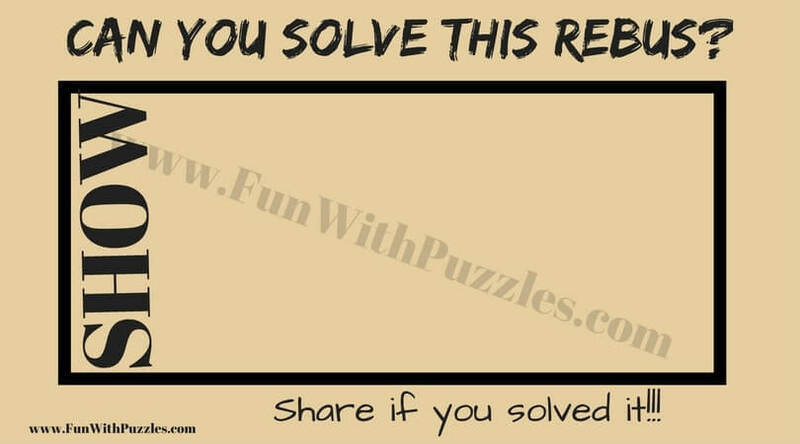 Earlier published rebus puzzles which were titled "Easy Rebus Puzzles for Kids with Answers" were for kids and were very easy. 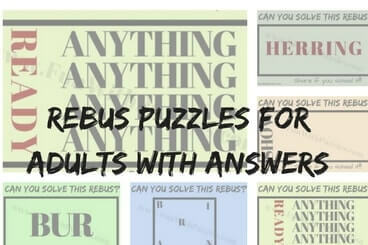 Today's rebus puzzles are going to give your brain a challenge to solve. In these rebus puzzles, some picture representation is given which says some phrase or it is the graphic representation of an English word. Your challenge is to decipher this word or English phrase. Answers of these Rebus Puzzles are given at the end. 1. 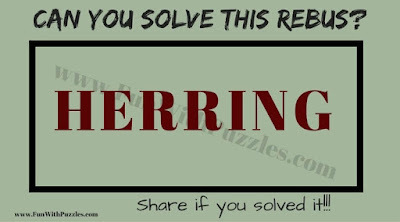 Can you solve this Rebus Brain Teaser? 2. Can you solve this Rebus Puzzle Question? 3. Can you solve this Rebus? 4. 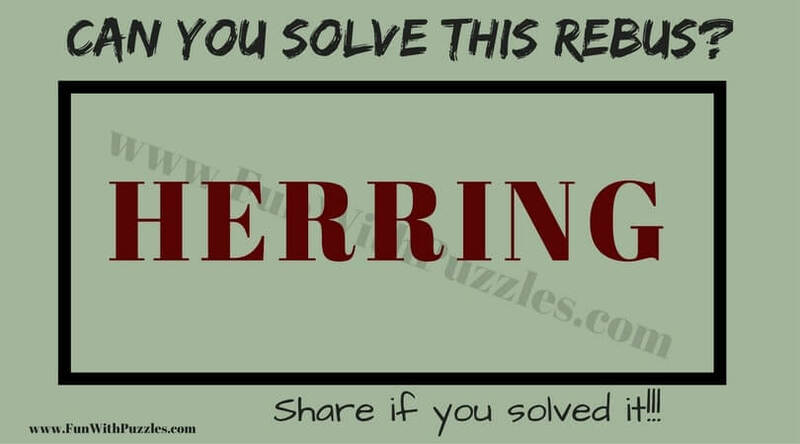 Can you solve this tough Rebus Riddle? 5. 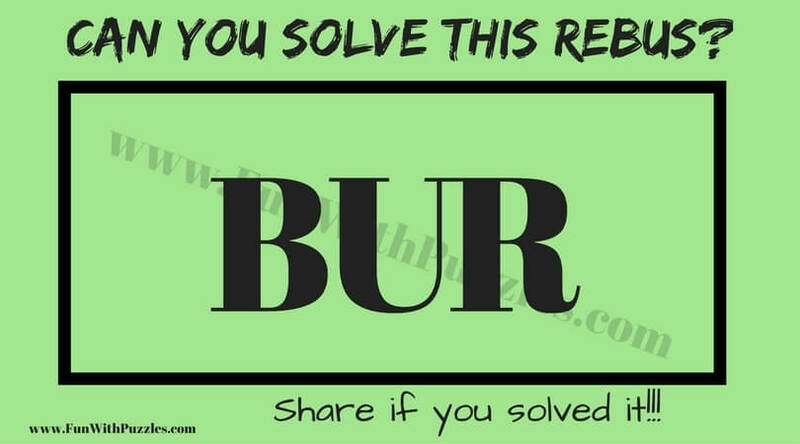 Can you solve this tricky Rebus Picture Puzzle? Tricky Riddles using the English language with answers: This contains some tricky English word riddles in which hints are given in the form of "Who Am I?" and one has to guess the given English word. Missing Vowels Game-Can You Guess the Colors? : These are the fill in blanks word puzzles in which vowels have been removed from the Color names. Your challenge is to guess the Color names by fill in vowels in the blanks. Guess the Word Puzzles and Riddles with answers: In these word brain teasers, some hints regarding one of the English word are given and your challenge is finding this word which is being talked about. The Brain Wiring Test: This contains mostly Logical and Mathematical Puzzles. 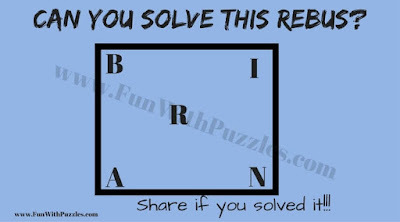 However, there is also one Odd One Out puzzle letter puzzle which will give a twist to your mind.